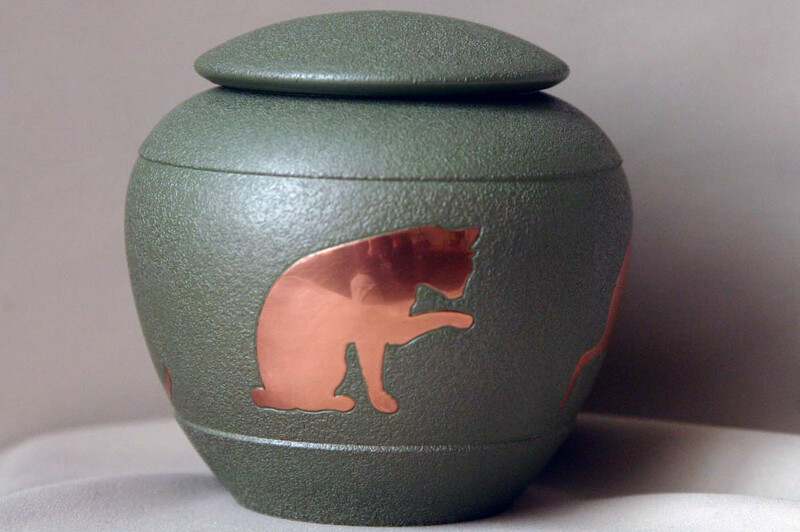 Many people would like the option to keep the ashes from a pet's cremation. 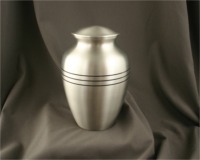 Provide them with a quality handcrafted metal urn. 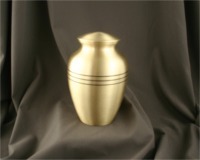 Select urns can be engraved (E). 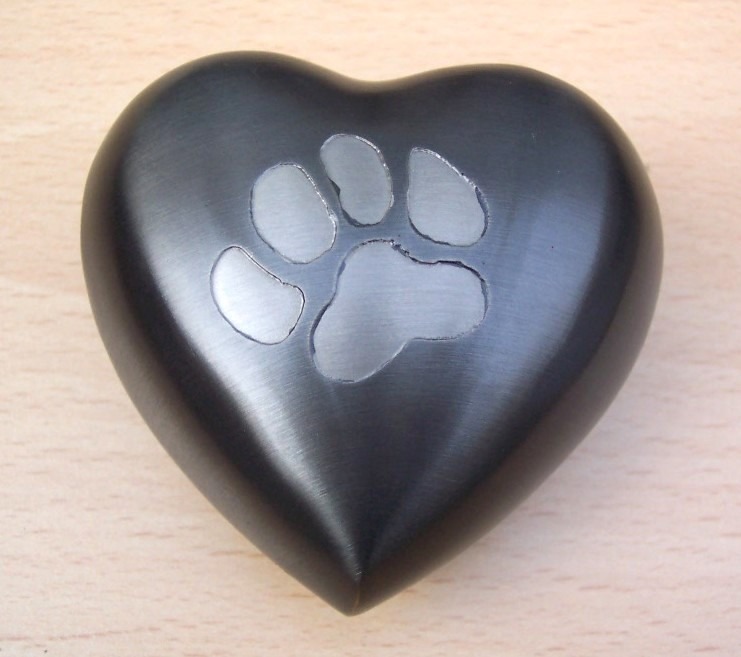 These items have been identified with an E indicator (suitable for engraving). Click here for Engraving Form then fax to (888-875-7065). Note: Capacity may vary in accordance to the efficiency of the crematory. 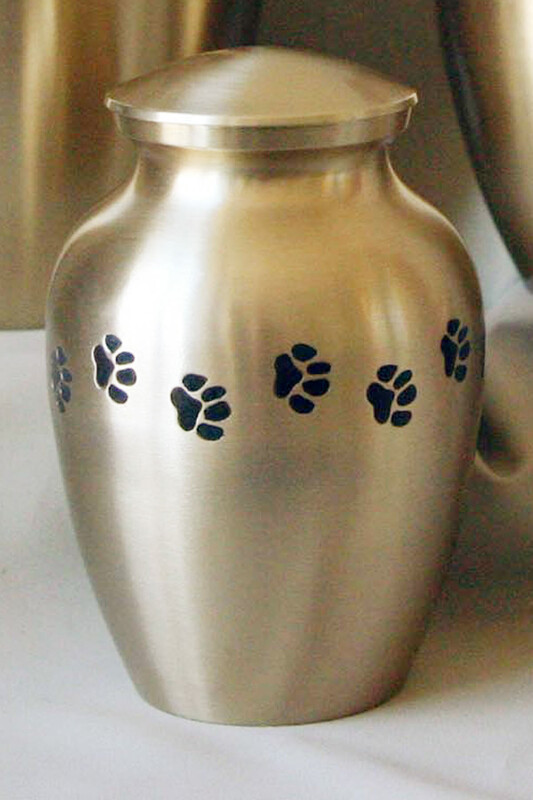 Handcrafted in brass and electroplated in three beautiful finishes, the Odyssey urns are accented with paw prints and are available in three pet sizes to accommodate most small and mid-sized pets. 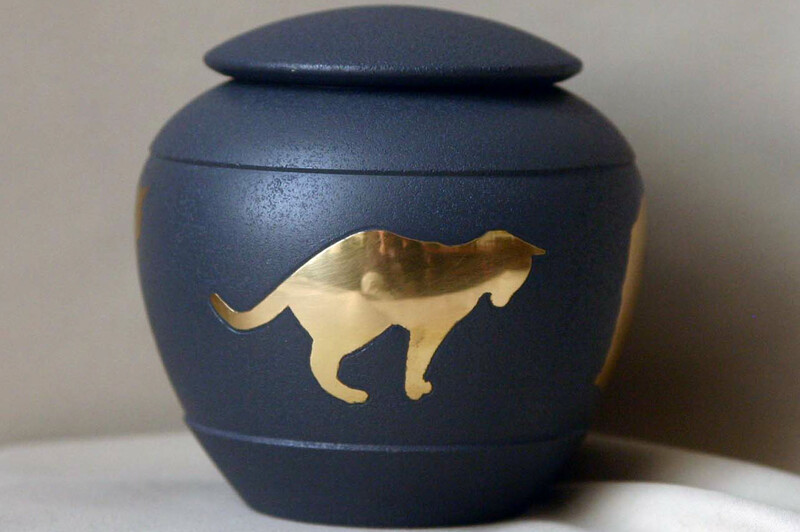 U2889S Small 4.9" x 3.5"
The Classic Pet urn is handcrafted in brass and beautifully finished with various electroplating and polished highlights around the lids. 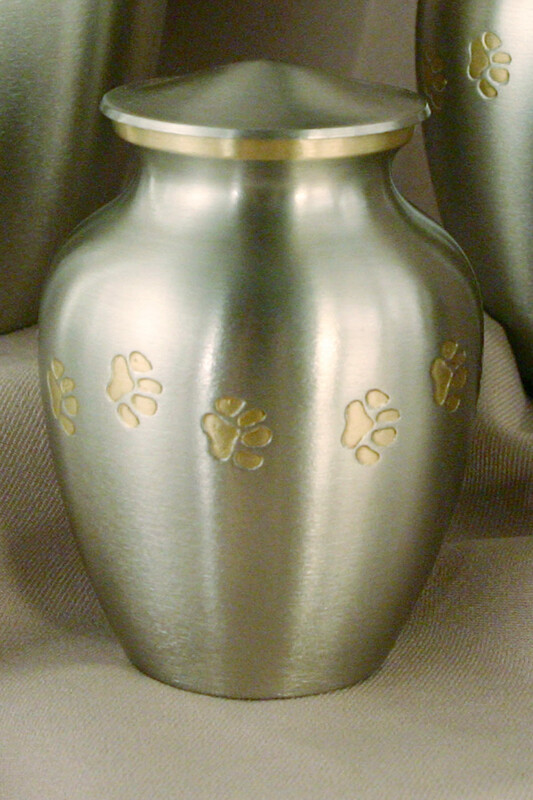 The pewter and brass finishes are imprinted with paw prints that encircle the urn. 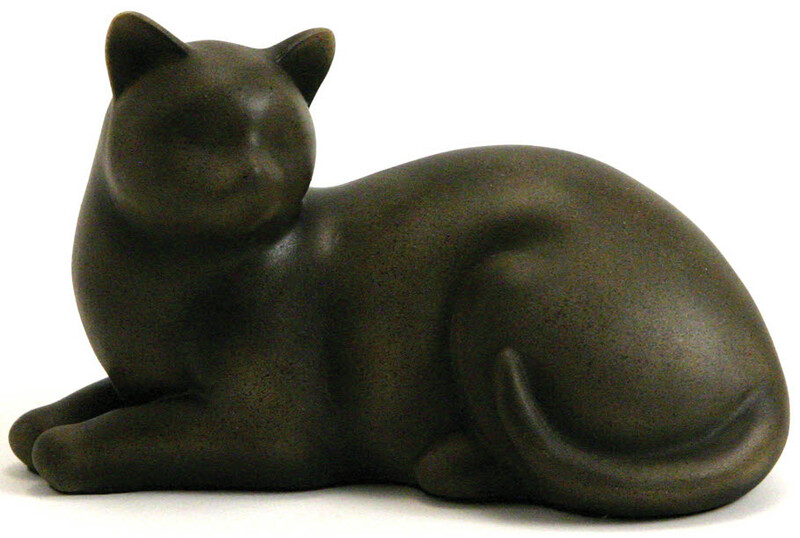 Choose from the Calico or Pewter with paw print . 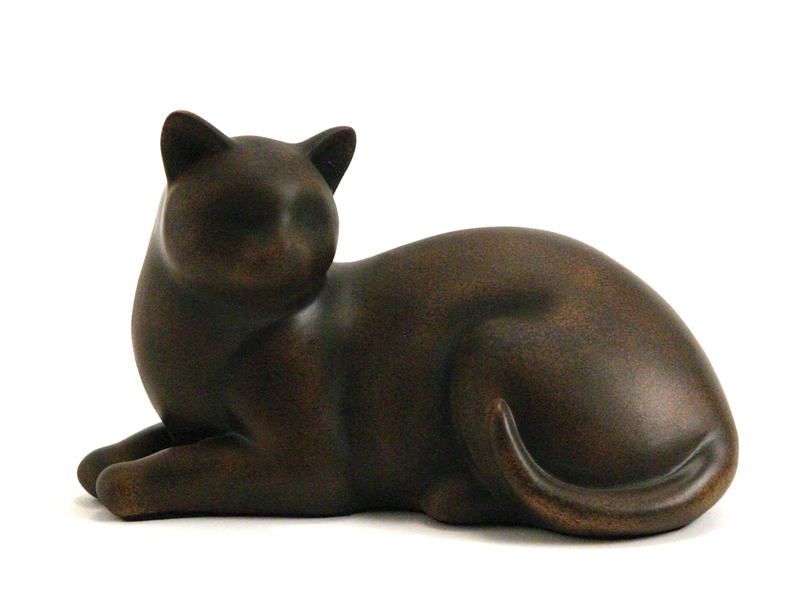 One size approximately 2.9" x 2.7"
These beautiful brass urns are handcrafted into a work of art with four accented cat silhouettes that are inlaid around the center. The Silhouette urns are acid etched and painted to an antique finish that provides an elegant tribute to a beloved pet. 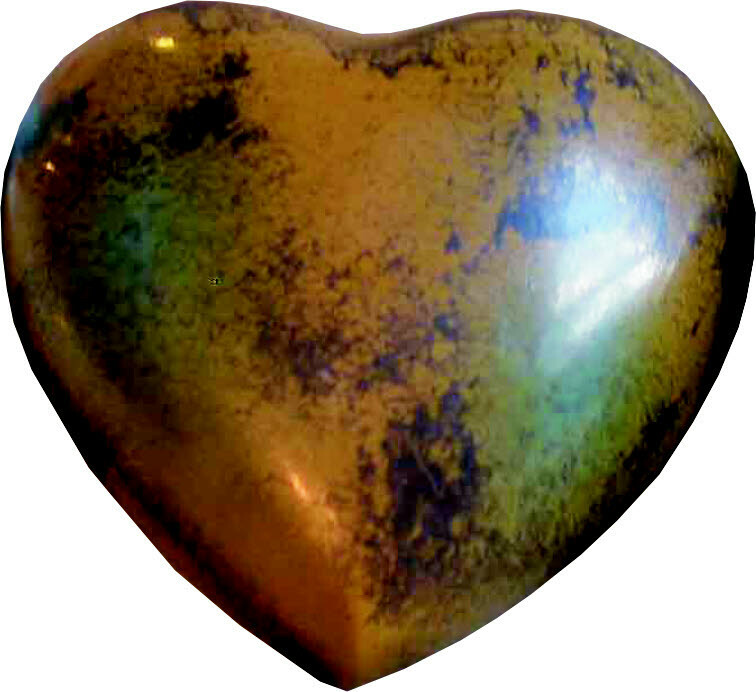 The Sienna & Shale finishes come with shiny brass inlays and the Fern finish comes with copper-plated silhouette inlays. 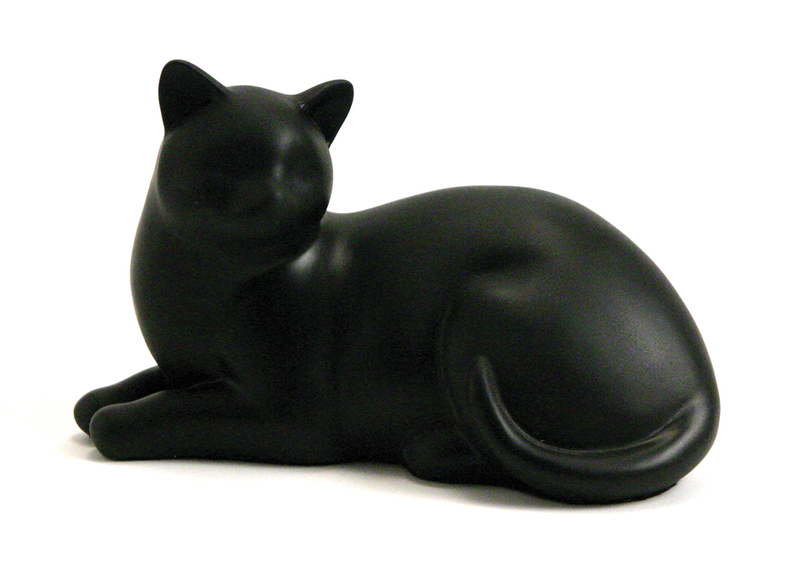 The Silhouette series is designed to accommodate most cat sizes. 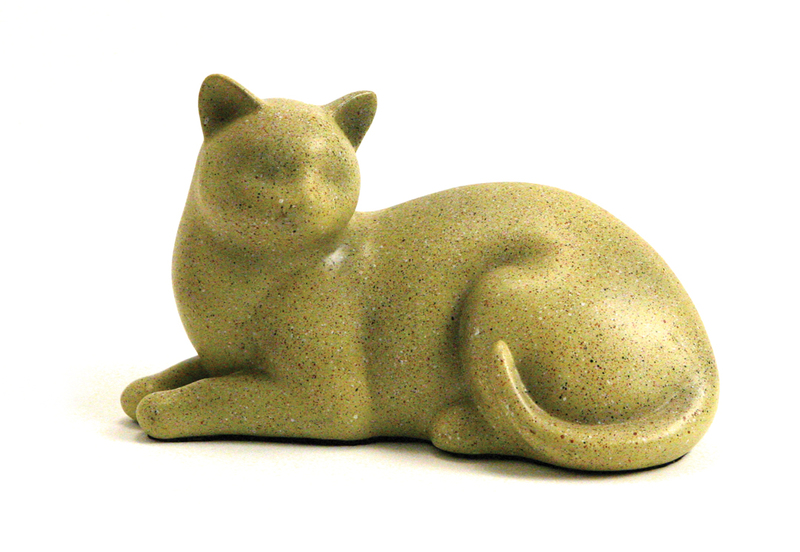 The Elite Cats are crafted of resin and are available in four distinct colors: Stone fleck finishes of fawn or sable, mottled tabby and black. 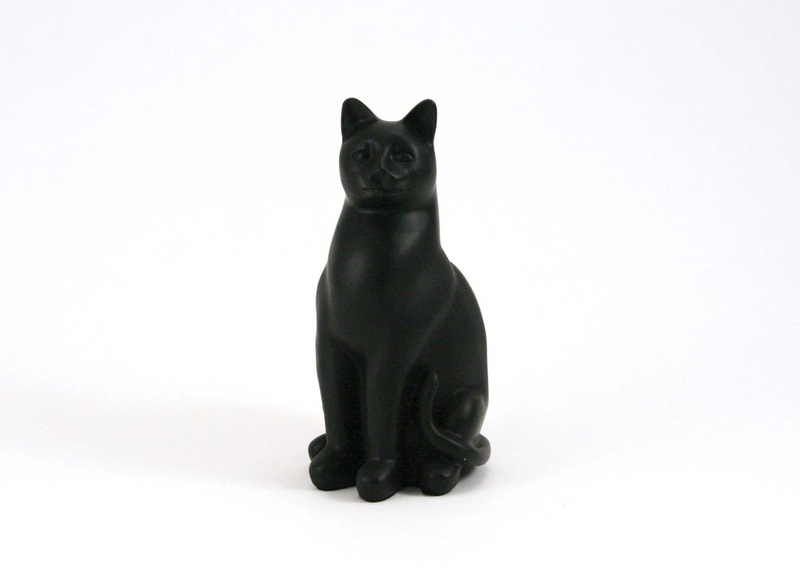 Each cat has a felt-lined bottom with a threaded plug for secure closure. 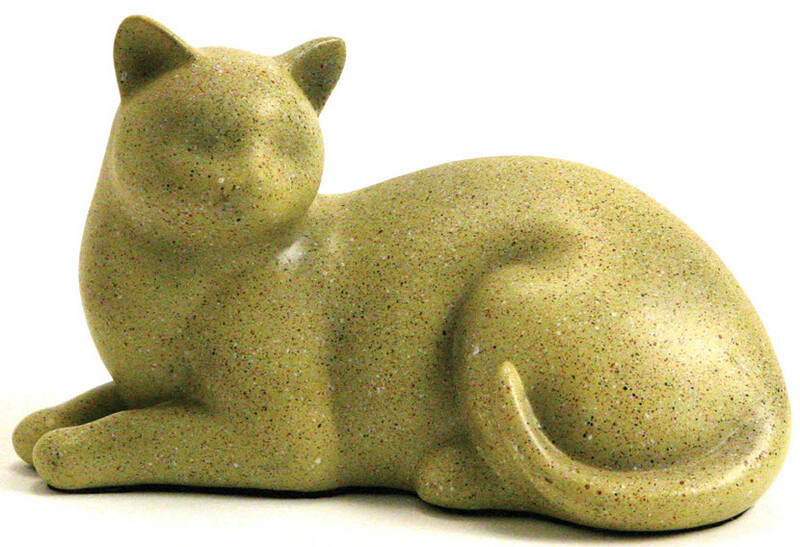 The Cozy Cats are crafted of resin and are available in four distinct colors: Stone fleck finishes of fawn or sable mottled tabby and black. 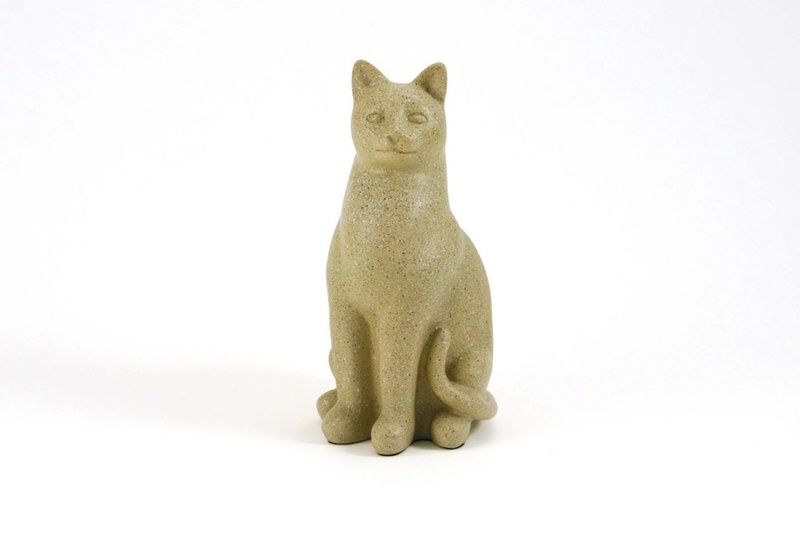 Each cat has a felt-lined bottom with a threaded closure. 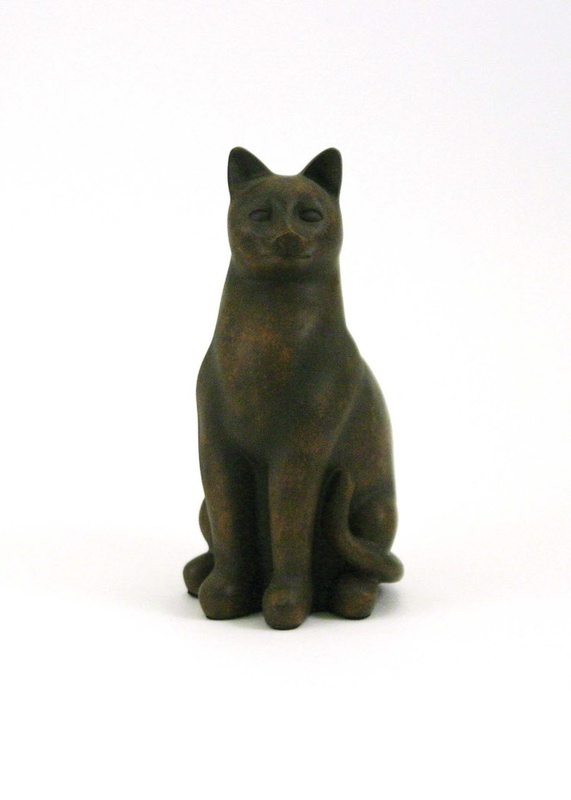 A standing cat with an antique bronze finish.